84 Caledonia Road, corner of 69 Florence Street, Gorbals, Glasgow. 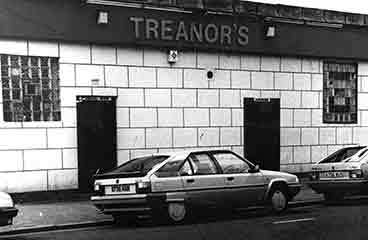 Treanor's was one of the last pubs to be demolished before the new Gorbals housing estate was built. Treanor's Bar used to sit on it's own at the corner of Caledonia Road and Florence Street, however this was not always the case, Caledonia Road was a thriving community of shops tenements and pubs, during the 1950s and 60s many of the old pubs were demolished, the tenement above Treanor's Bar was also demolished but the pub survived until the 1990s when the new Gorbals was built. 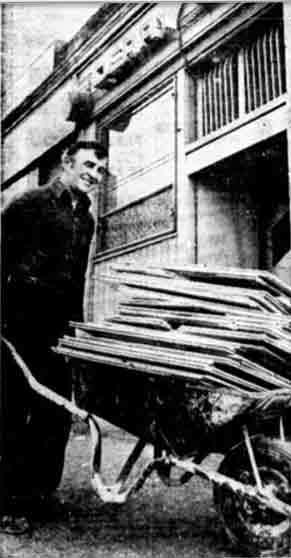 In 1977 Treanors other public house at 53 Cathcart Road was nearly blown up as labourer Ronnie McLachlan kicked a Celtic sports bag which contained a bomb, out of the pub which exploded in the street, hero Ronnie was blown away but survived the blast ex-boxer Derry Treanor surely bought Ronnie a pint for his brave actions. Treanor's Bar from Florence Street. The history of this old Gorbals landmark can be traced back to 1877, the new occupier of the pub was John T Shaw. Mr Shaw lived in Abottsford Place and served the locals here until 1884. In 1888 S J McCutcheon became the new proprietor and licensee, McCutcheon was born in Durham, and came to Glasgow at an early age. When he took over the pub in Caledonia Road his name was painted proudly above the doorway, large etched glass windows ran all the way round to Florence Street where the family department was. The interior of the pub was grand with a semi circular bar counter made from solid mahogany. Mr McCutcheon stood sponsor for a special whisky known as "Barley Cream," which had been strongly recommended by the medical faculty and was famous all over the South Side of the city as a panacea for dyspepsia and various kindered ailments. Other specialties in the pub was "Old Invalid Port," twenty four year old in bottles, William Younger's 90s ale on draught, Reid's London and Barclay & Perkins imperial stout in bottles. McCutcheon was a freemason, he was also a strong supporter of the L.R.V. Athletic Club. In 1893 McCutcheon employed a manager, Mr Archibald Montgomery, he was a Glaswegian but went to learn the trade in Edinburgh at the Royal Exchange Hotel Bar, High Street, he then went on to work in the Blue Bell Inn, Portobello. Returning to Glasgow he worked with Mr William Craig in the north of the city, anxious to further his career he joined the staff of S J Christie, 33 Cowcaddens before managing McCutcheon's Bar. In 1894 John Eadie took over the pub, he was in partnership with Mr Henderson of the GlenLeven Vaults, 149 Oxford Street. 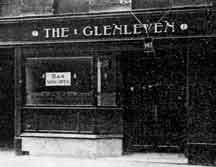 There were GlenLeven Bars in Argyle Street and Broomielaw. John was a native of Leith but spent most of his life in Glasgow, before becoming a city publican he was a stevedore and measurer. A special blend of 7 year old GlenLeven whisky matured in sherry casks was sold in the pub for many years. John Eadie went on to own some of the best bars in the city including Eadie's in West Scotland Street. Rutherglen Road, Watt Street and Bridge Street. John Eadie left and James Henderson right with etch of The GlenLeven, Oxford Street. 1893. Mr S J McCutcheon 1892. The GlenLeven, Oxford Street. 1913. Manager Archibald Montgomery, McCutcheon's Bar. 1892. 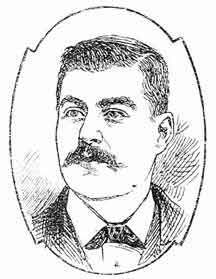 Head Barman and manager Mr Archibald Montgomery worked in McCutcheon's bar in 1892. Although a Glaswegian by birth, Archibald made his first start in the trade in Edinburgh at the Royal Exchange Hotel Bar in High Street, thereafter joining the staff at the Blue Bell Inn, Portobello. Returning to Glasgow he entered the employment of Mr Craig in the north of the city. He then worked under Mr S J Christie, 33 Cowcaddens before managing Mr McCutcheon's Bar, Caledonia Road. 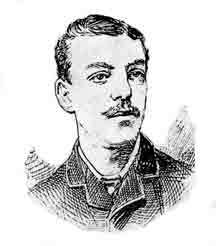 James was a good musician and a keen bowler. 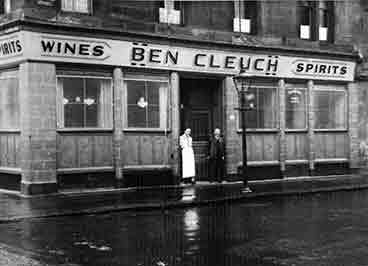 In 1950 John J Simpson took over the licence, the name of the pub then was the Ben Cleuch. The Ben Cleuch with Jimmy Simpson left and father John Simpson on the right. This image was taken on Florence Street. Thanks to John Simpson. 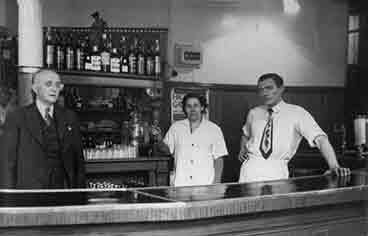 Left to right John J Simpson, Betty the barmaid and Jimmy Simpson. Thanks to John Simpson. Betty the barmaid was a (hard ticket) you wouldn't take a burst pay packet home to her. Yes another name this old pub has had over the years. Trade guests were invited to the opening of the Pullman Bar, Caledonia Road, Glasgow, and were received by mine host Mr. Gerry Kelly. the original Pullman has disappeared and in its place have arisen an extremely modern and tasteful public bar and lounge bar. 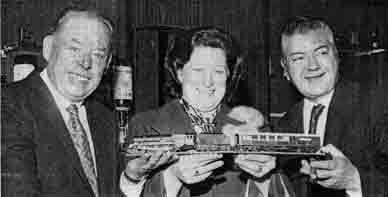 The opening ceremony was performed by Mr. T. McMillan, M. P. (Glasgow Central), who is seen (left) with his wife and Mr. Kelly displaying a model of a locomotive and Pullman coach. 1973. Derry Treanor outside his pub at 53 Cathcart Road corner of Hospital Street. 1976. Ex-boxer Derry Treanor has begun a one-man fight against the planners of Glasgow. Derry, who has been a publican for the past 10 years says he couldn't stand aside and watch the planners tear the heart out of the city's Gorbals. For years now the threat of the demolition hammer has hung over his bar in Cathcart Road which has become an island in a sea of knocked down tenements. But Derry, who once fought for the Empire and European featherweight title, has refused to throw in the towel, and instead of closing down has done a complete turnaround and built an extension instead. The 38 year old publican had had enough of planners saying that his pub would have to go, or that a new road would be built through the middle of it. As he said matter of factly, "If you don't do something you're going to be left with nothing." So turning his back on the threat of compulsory purchase, he rolled up his sleeves and set about building a new lounge bar which will have live entertainment for the people of Gorbals. Derry has sunk about £2000 into the job which, if he had left it to outside contrasters, would have cost three times as much. And he just shrugs his shoulders when people say it could be money down the drain as the council could well close his bar, formerly the Regent Bar, within a year. "There has been talk for as long as I can remember about a new road coming through here, but there is no money these days to build a new road. "I see no reason why the pub can't stand for at least another five years. That's why I've put money into the new lounge which will have live Country and Western music for the customers." Continued Derry in the Irish accent he has never lost despite settling in Glasgow years ago, "People say, where do your customers come from?" when they look at the vacant ground round about. But Gorbals people come back. You can never keep them away. 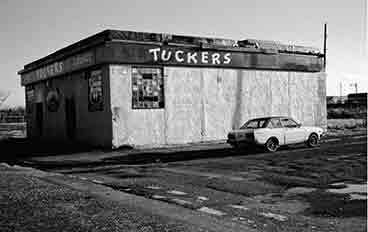 "People who have been moved out to Toryglen or Castlemilk still came back here for a chat and a drink. It's where they belong. They never wanted to move until the planners ruined the city." Also read on the last of the Govanhill pubs from 1977. In 1899 there were 95 pubs in the Gorbals ward, 57 in Hutchesontown and 103 in Kingston ward. Caledonia Road had 14 pubs and 2 licensed grocers. also J Eadie 12 Bridge Street.